Do you believe in destiny? Do you think that your life is all written in the stars? Do you believe that if you are destined to be poor, you will never become wealthy in this life no matter what you do? 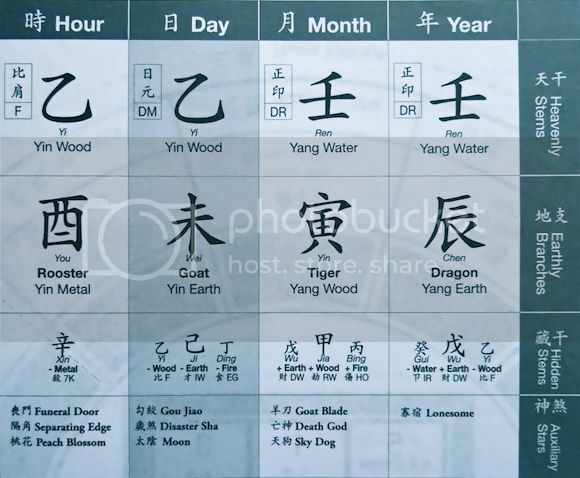 Well, last Sunday, I discovered the answers to these questions and more at a seminar called "Decoding Your Destiny" conducted by renowned feng shui and Bazi expert, Joey Yap. 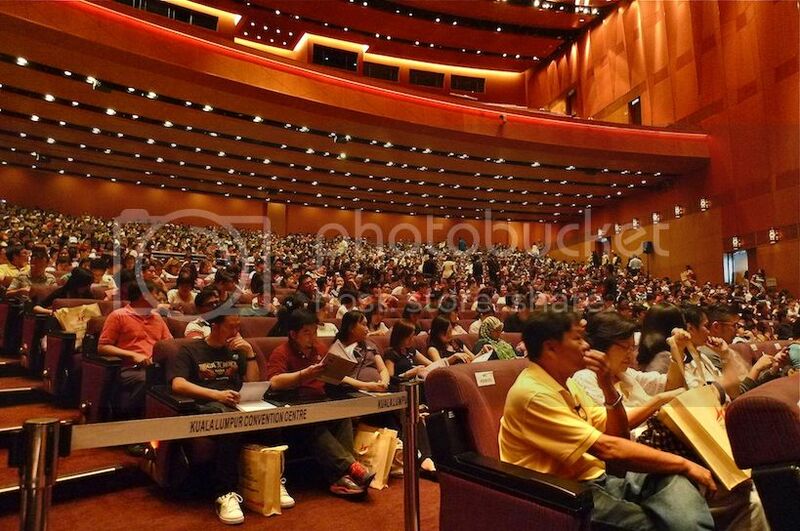 The full-day seminar was held at Plenary Hall in KL Convention Centre. 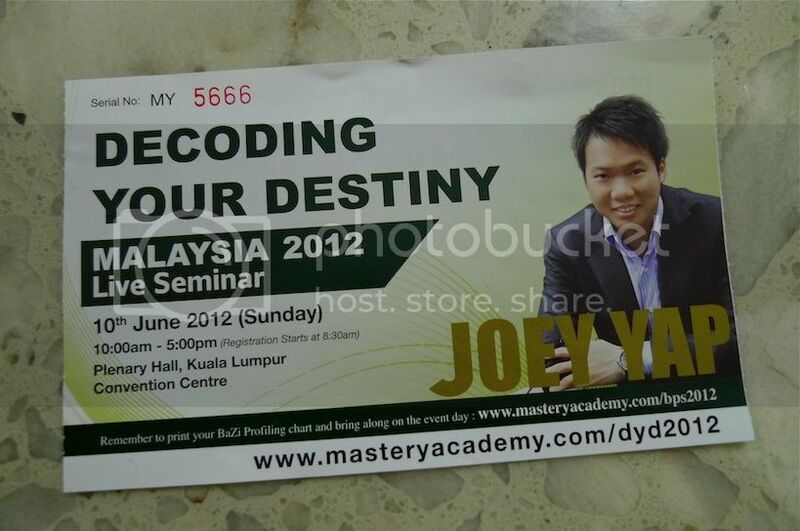 The seminar started with Joey Yap telling us why we need to learn about our Bazi. For the uninitiated, Bazi (literally translated as Eight Characters) also known as Four Pillars of Destiny, is an ancient and sophisticated discipline of Personality and Destiny Analysis that reveals with stunning accuracy an individual's path in life. By decoding your Bazi, and hence your destiny, you will then have access into your personality, character, strengths and weaknesses. With these information, you can then take the correct measures to empower your Destiny and live the life you deserve! Not only that, an analysis of your Bazi can also reveal what is the most suitable career for you and whether you can be rich! Isn't this fantastic? Wouldn't you want to know what career is most suitable for you early in life? If for example, you are most successful at being an astronaut, but you only discover this at the age of 50 after having your Bazi read at that age, isn't it too late? So yes, while you are still young, go learn about Bazi or if you are not bothered to learn, at least consult a professional Bazi consultant to help decode your Bazi for you. Why waste time slogging as an accountant when you are meant to be a doctor? This does not mean you won't be a successful accountant, but it just means that you will find it tougher to be one. Your path to being an accountant will be filled with challenges and difficulties. In contrast, it will be easier and possibly smoother on your way to be a doctor. Why take the tougher route? Interestingly, your Bazi can actually reveal whether you have the potential to be rich. So what happens if your Bazi shows that you cannot be seriously wealthy like Bill Gates? Are you going to feel demotivated? 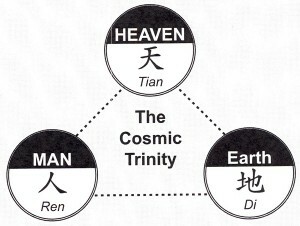 Well, according to Joey Yap, there is this thing called the Cosmic Trinity. It is made up of 3 components - Heaven, Earth and Man. Each of these components exerts equal influence in determining the outcome of events in our lives. Heaven Luck is already pre-determined at birth - you can say it is already written in the stars. You CANNOT change your Heaven Luck. Your Bazi reveals your Heaven Luck. But it is only 33 percent of the outcome. Don't forget you still have Earth and Man Luck, which make up the remaining two-thirds of the equation. Feng shui is Earth Luck. Using feng shui, you can then control the outcome of another 33 percent. Man Luck is your own action and this makes up the final 33 percent. What you do and what action you take will influence the final outcome. Hence, you can see that even if your Heaven Luck is not too favorable (example, you will never be as rich as Bill Gates), but by using feng shui to your advantage and by taking the correct action, you then have the potential to be quite wealthy! Similarly, if your Heaven Luck is favorable (example, you have the potential to be as rich as Bill Gates), but because you have a lazy attitude and you suffer from bad feng shui, your final outcome may be worse off than the person who has a less favorable Heaven Luck. In short, by knowing and understanding your Destiny, you then have the power to change your life for the better! 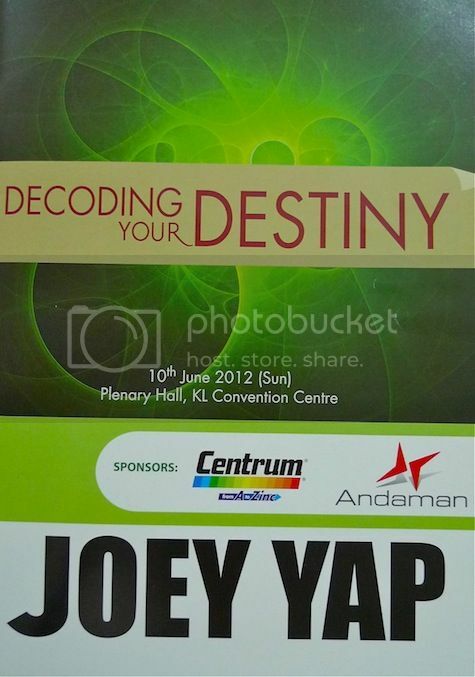 Or in Joey Yap's own words, you can then Design Your Destiny! Of course, what I mentioned here is just the tip of the iceberg. There is more to this Chinese Astrology of Bazi than just about choosing the right career and finding out if you can be wealthy or not. I will share more of what I learnt at the seminar in Part 2 so stay tuned! Meantime, you may want to print out your personal Bazi Chart HERE so that you can follow what I explain in Part 2 and have a glimpse into your own destiny.